So you’re in the gym, doing your own thing and minding your own business (well, kind of…) and you notice someone hopping from exercise to exercise… They appear to have no rhyme or reason to their workout. The weights they’re using aren’t particularly heavy and the individual isn’t even pretending that they are. Their eyes are wandering off and they seem to be more concerned with watching others than they are with their own workout. I know you’ve seen this person before. I see it all the time. And while it’s great that this person is in the gym, moving their body, they most certainly do not have a solid plan and unfortunately, their results will likely be lackluster. It’s very rare when I go into the gym without a plan. It’s not that I can’t program “on the fly,” it’s just that I’d rather not. Usually I have specific goals I’m working towards, and goals require week in and week, or month in and month out, or year in and year out of focused training. Going into the gym and just doing willy nilly with no intensity isn’t going to serve you much. If your goal is to be able to just generally move better, then okay, you can probably get away with whatever. But if you’re trying to change your physique or get stronger in any spectacular way, you have to have a plan. Programming is both an art and a science. c) is appropriate for your level of experience (beginner, intermediate, or advanced). If you seriously only have 1 hour, 3 days a week that you can commit to training, don’t select a program that requires you to be in the gym 5-6 days per week, 2 hours per day. The same goes for those of you who have never stepped foot into a gym. Starting with 5-6 days a week of heavy lifting is going to put a hurtin’ on you, so start slower. 1. There’s no guessing. You can walk into the gym with confidence and get to work straight away. 2. By not having to pause and think “what’s next?” you can move quickly from one exercise to the next, thus keeping your intensity up. 3. The professional who wrote your program probably knows more than you about training. Let them do the challenging work of writing the program. All you have to do is follow through consistently and results will come. 6. And yep, you guessed it: results. You will get results. As long as you continuously bring intensity and focus to your workouts (which is much easier when you have a plan), you will certainly get results. Floating around the gym floor aimlessly will get you nowhere fast. You know those people you see year after year who never look any different? 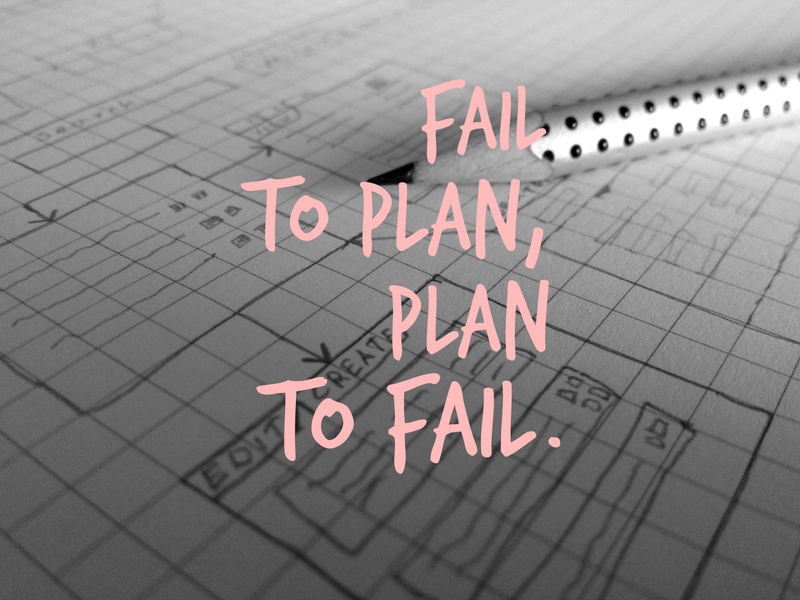 Chances are they don’t have a plan (unless their goal is to maintain where they’re at…and honestly, that’s perfectly okay too). But if you do want to make some progress, get your hands on a good program. In addition to following a program, I would also strongly advise tracking your workouts. I don’t know about you, but I can’t remember what I had for dinner last Wednesday, so how on Earth would I remember how much weight I squatted, for how many reps, for each set, if I didn’t write it down? And how would I improve week to week if I didn’t keep track of those numbers? That’s a quick way to stagnate! And not because your strength is plateauing, but simply because you can’t remember what you lifted last time, so you’re just picking a random number to lift each week. Boo. Bad idea. So you must have a plan to follow if you want to be successful. Extraordinary results require extraordinary efforts, so if you want to be extraordinary, you have to act extraordinary. If you have any questions about what type of program might be best for you at your current stage, I’d be happy to help out and give you some suggestions! There’s all sorts of programs out there, and depending on your goals, one will probably be better than the other. Feel free to contact me on Facebook or post here in the comments if you need some guidance. I know program hunting can be quite a challenge! But trust me, there’s at least one out there for you.